My Dad's big birthday is today and this is his grandson (my nephew) wishing him happy birthday wearing his own birthday suit. 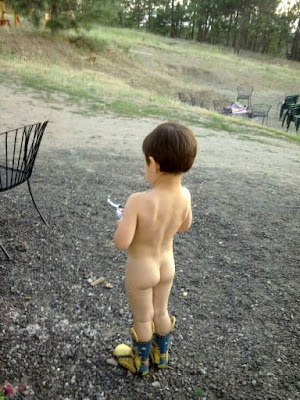 birthday suit is just boots? That's my boy! He took after me, a bush-bunny!